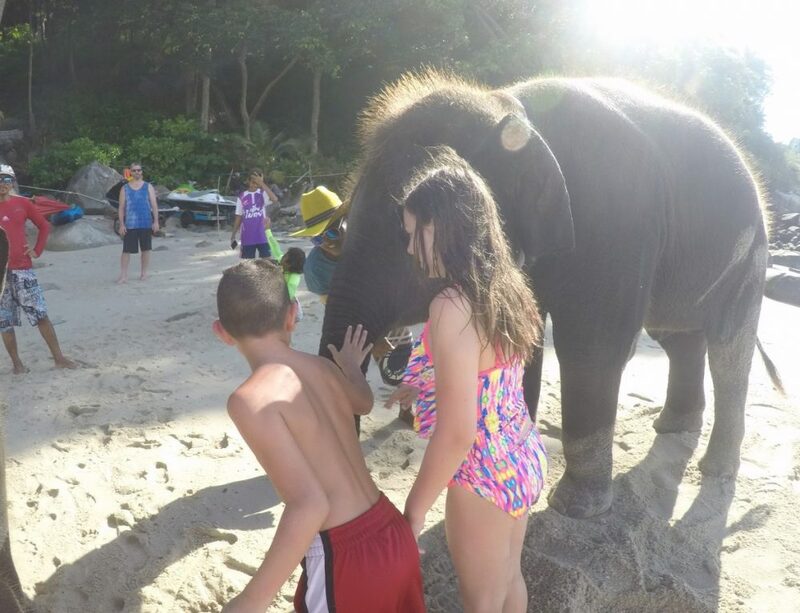 Note: Part of this post originally appeared in 4 Things to do in Phuket, Thailand with Kids on Travelocity.com. There are so many things to do in Phuket, Thailand it can be difficult to pick out what to do. If you are like me, you want to do it all, but never have enough time. Here are my top 6 things to do in Phuket with kids. 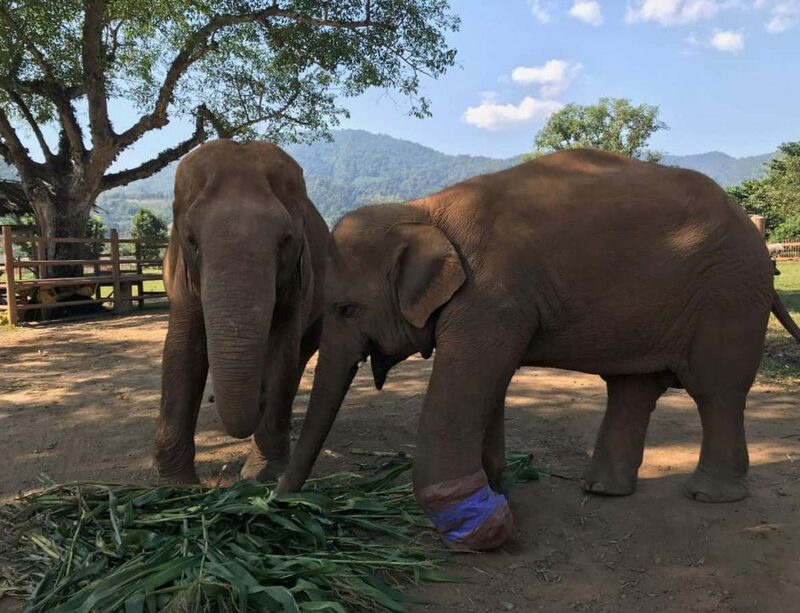 All over Thailand there will be options for encountering elephants. You can take an elephant jungle trek, go give one a bath at a sanctuary or swim with elephants. For us it was a time issue. We were already doing some much that I didn’t want an all day activity. So, instead we did a quick swim with two young elephants. This was one of the most incredible experiences the kids and I have ever had and I highly recommend it. 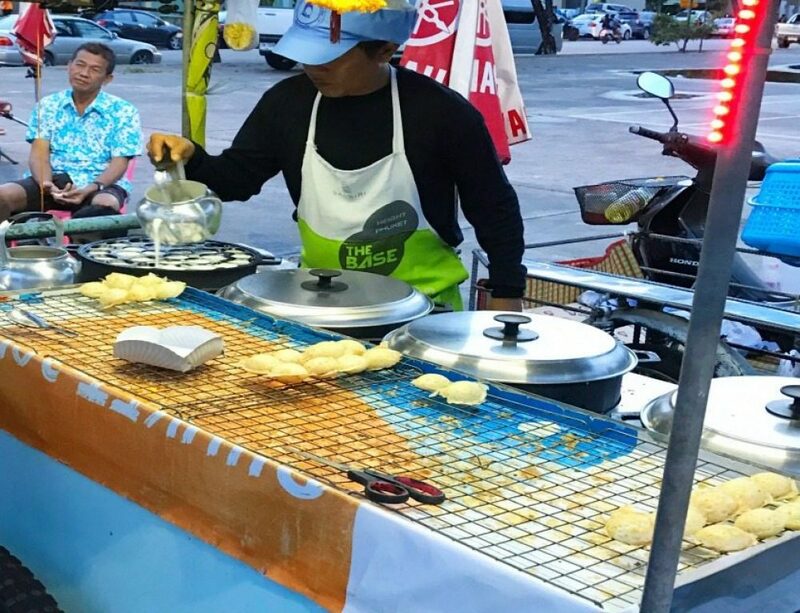 All of the resorts have fine food, but don’t be afraid to venture out and sample some foods at a street market. Your kids will remember trying unique foods, and it is an outstanding way for them to experience the real local culture. For example, on the Phuket Street food tour one of the stops is a local market in a parking lot. All of the foods there are likely to be unidentifiable, but the whole family will have to be brave and taste the foods together. 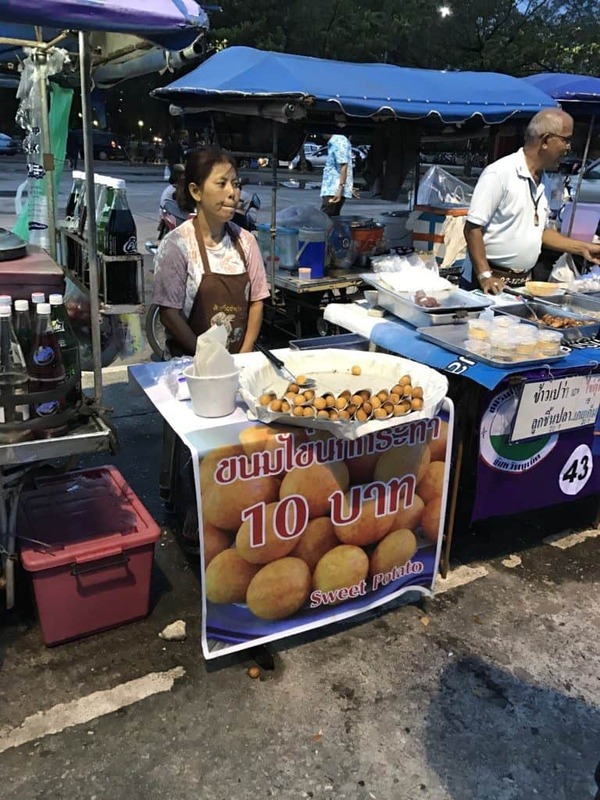 Suggested things to try are Kao Kriab Pak Mor (a gooey purple dumpling with a sweet peanut filling), a tasty little Kanom Krok (coconut pancake) or Khanom Buang (a dynamite, crunchy Thai crepe with a creamy filling). One of the most famous islands near Phuket is Ko Phi Phi Island, which is accessible only by boat. There are many companies that can take you out there. One way is by speed boat with My Phuket Tours. Sitting up front in the speed boat can be extremely fun and exciting for youngsters. Once at Phi Phi Island, you can visit the famous beach where Leonardo DiCaprio filmed The Beach. The water is turquoise, and the beach is hemmed in by cliffs. It is quite stunning. The snorkeling is excellent in many spots around Phi Phi Island. Another beach to visit is Monkey Beach. Here, monkeys are hanging around waiting for tourist to feed them. They are so eager for the food, the monkeys sometimes board the boats to get to it. Kids will delight in feeding them and watching them jump around. One of the neatest ways to get kids to try new foods is to have them cook the food themselves! Phuket has several cooking classes that are kid-friendly. The Phuket Thai Cooking Academy is a good one for kids and especially convenient for families since they provide transportation. Before the class begins, they take you to a local market where everyone shops for the ingredients they’ll be using in their Thai dishes. Kids will be amused by the seafood in the wet market. Some of the fish and squids are so fresh they are still wiggling around. Once you arrive at the school, kids and parents will learn food carving in addition to making multiple dishes. Once everything is prepared, you all get to enjoy dinner together as a family. As mentioned previously, there are an abundance of beaches in Phuket. A family could easily spend their time hopping from one beautiful beach to another. These four beaches are nice choices for families. They each offer a little something different, but all are accessible by public transportation, near restrooms and food which is important when traveling with kids. Surin Beach – Surin Beach is small and beautiful. There are plenty of restaurants, bars, and shops nearby. There are chairs and umbrellas available to rent. If you stay at one of the hotels there like Novotel Surin Beach, they provide you with umbrellas. Karon Beach – Karon beach is the second longest beach in Phuket. It is not as lively as Patong or as quiet as Surin. This beach is a perfect place to play a game of beach volleyball with other tourists or snorkel with the kids. Patong Beach – Patong Beach is somewhat hectic because there is so much going on. Families can swim, shop, dine and more. And parents, if you are looking for a night out, Patong’s nightlife is fantastic. The main street here, Bangla Road, does turn into a full-on party street after 10 P.M. so kids will get an eyeful if they are out there. 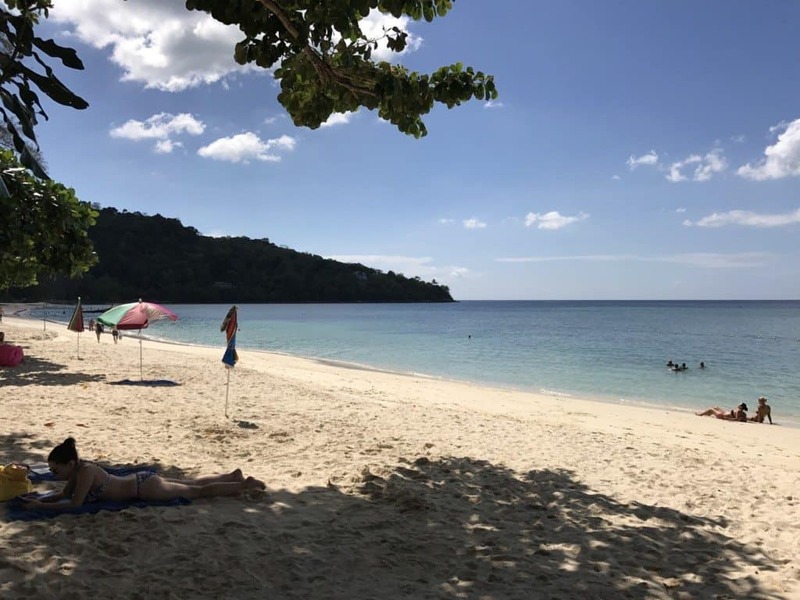 Tri Trang Beach – Not far from the more popular Patong Beach is Tri Trang Beach. Often times there are hardly any people here. Families can spread out, and the kids can roam. Because there are so few people, it is easier to keep an eye on your kids here. There are a few food options, and the hotels have bathrooms. The way we accessed this beach was by stairs. If stairs are an issue, skip this beach. 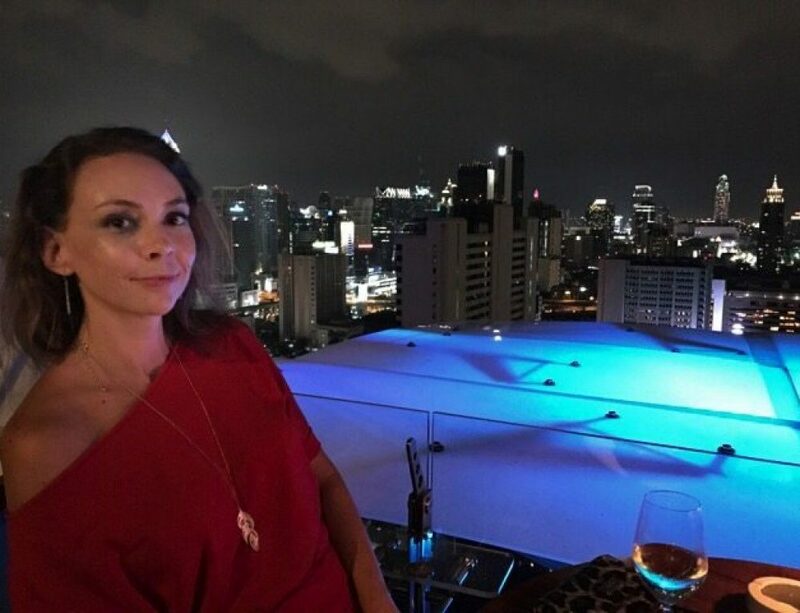 There are two Tiger Kindom locations in Thailand and one is located in Phuket. There you can meet a baby, toddler, teen, or full grown tiger. We met with a toddler tiger and I would never recommend going into a cage with one bigger than this. 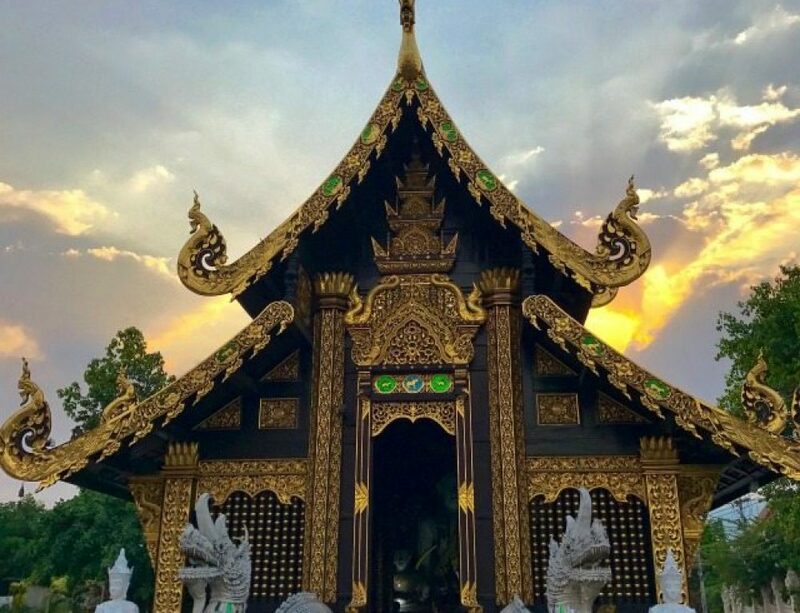 The list of things to do in Phuket with kids could keep going and going with other island trips, zip lining, animal encounters, temples and more. Hopefully these four suggestions will help your family have a successful trip to Phuket with kids. Have you taken your children to Phuket? What was your family’s favorite activity?